Unscripted, family-friendly comedy show presented by Encore! 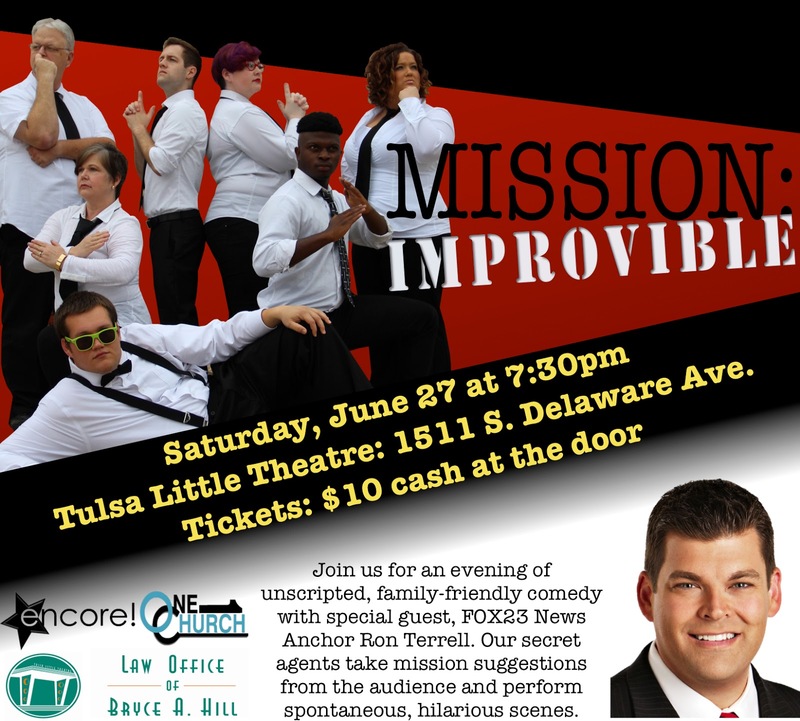 Tulsa's improv troupe, Mission: IMPROVible and special guest, FOX23 News Anchor, Ron Terrell. Our secret agents take mission suggestions from the audience to perform spontaneous, hilarious scenes. Our youth actors will take the stage to perform their own improv show, Mission: IMPROVIBLE, Jr.